Man In Hat Throwing Light Beam Up The Night Sky Full Of Stars... Stock Photo, Picture And Royalty Free Image. Image 54942291. 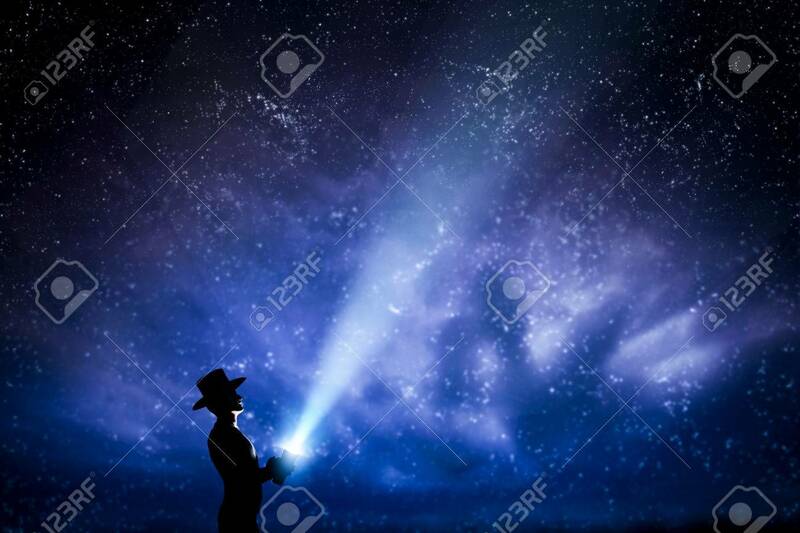 Stock Photo - Man in hat throwing light beam up the night sky full of stars. Conceptual - explore, dream, magic, fantasy. Man in hat throwing light beam up the night sky full of stars. Conceptual - explore, dream, magic, fantasy.